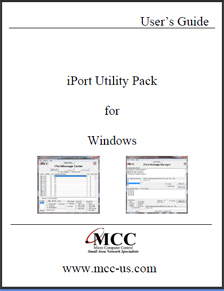 The iPort Utility Pack for Windows is your express lane to I2C Bus communications. 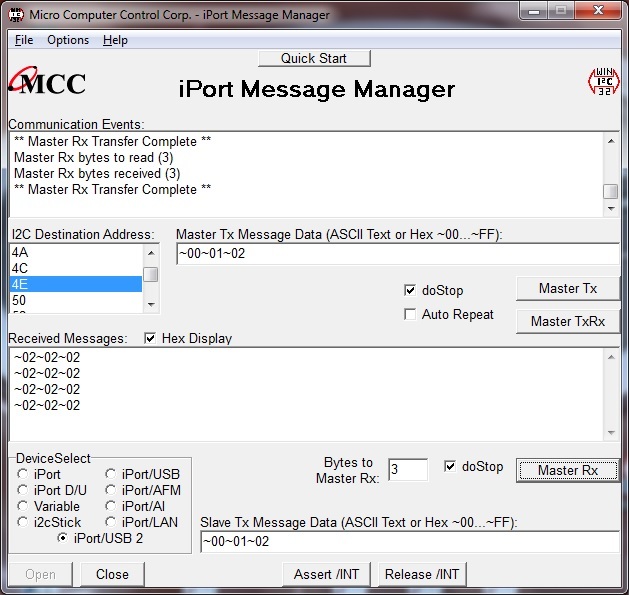 This edition of the Utility Pack supports a variety of MCC I2C Bus host adapters, and includes the iPort Message Center (v6) and Message Manager (v6) software applications, device drivers, and documentation that will help you get started sending and receiving I2C Bus messages quickly and easily. 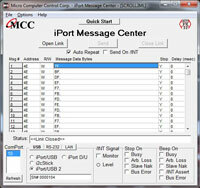 Adds support for i2cStick 2TM I2C Bus Host Adapter. OS: Windows XP (x86), Vista/7/8/8.1/10 (x86/x64). 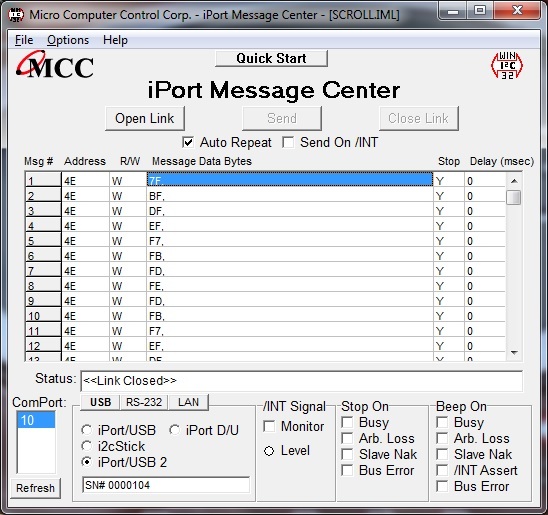 Add support for MCC's i2cStick 2 I2C Bus Adapter. USB and LAN Driver Installer/Uninstaller applications. Includes USB Virtual Communication Port (VCP) driver v6.7. 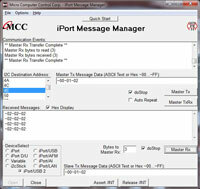 Includes Ethernet (RealPort) Virtual Communication Port (VCP) driver v4.7.410.0. This copyrighted product update is offered free of charge to users of MCC I2C Bus host adapters. Its use is covered by the MCC license agreement available during installation. For additional software and hardware installation instructions, see the Installation Section of the specific adapter User's Guide. Click to Download MCC_iPuTil6SP1CD.ZIP Now!